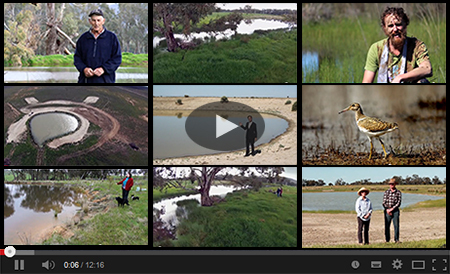 Farm Dam Blitz is a short film for landholders interested in enhancing wildlife habitat in their farm dams. Farmers from New South Wales and Victoria talk about what they've done to make wildlife more welcome on their properties. Follow presenter and wildlife ecologist Matt Herring as he himself transforms alongside the farm dams. The film highlights the enormous potential of the hundreds of thousands of farm dams across Australia to support more wildlife. It shows how simple changes can make a big difference and that it's easy to have multi-functional farm dams. The typically barren farm dam can be transformed into an oasis for wildlife where one can marvel at the wonders of nature. Farm Dam Blitz is brought to you by Murrumbidgee Landcare through funding from the Australian Government's Caring For Our Country program.